All the hottest topics in one place! The official app for NAVER Matome is back– everyone’s reading it! The app is easier to use than ever! Read to your heart's content! Get all the latest buzz in the new and improved official app for NAVER Matome. Everyone's reading it! The new design makes it easier to read all your favorite stories than ever before! Use your free time to catch up on all the latest news from the internet and TV. Check out these topics! ・Girls ・News & Gossip ・Restaurants & Cafes ・Lifestyle Ideas ・Recipes ・Health ・Entertainment These and many more are just a tap away! Stay on top of the latest jokes and trendy topics anytime, anywhere! 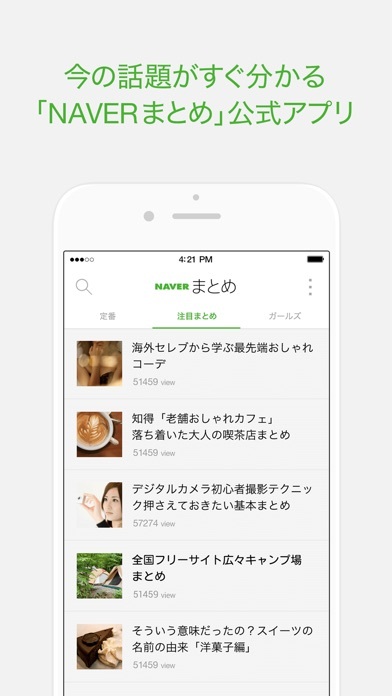 Useful functions in NAVER Matome Reader ・Check all the hot topics from the Home screen. Get all the in vogue topics here, from cutting edge fashion and romance tips, to the latest news and gossip. Find out what the latest trendy restaurants and cafes are, or grab some hot lifestyle, interior, and cooking tips. Everything you could want is at your fingertips; you'll never have to hang out at the magazine racks again! ・Save the interesting topics to read later. Save the topics you've looked at and read them offline or online. All you have to do is check out your viewing history for easy access to articles any time! 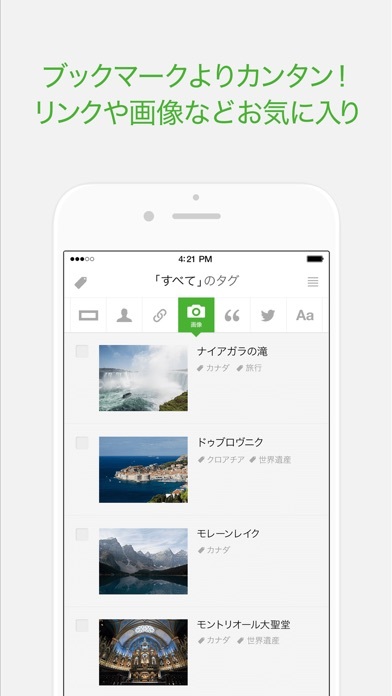 ・Add your favorites with the Favorite Button. If you see a topic you like just press the Star button to save it. View your favorites list and attach tags to them for easy viewing later. Recommended for people who like to view a lot! ・Easily add copied URLs to your favorite list. Now you can save URLs copied with your iPhone to the favorites list. You can save links, images, movies, and even tweets! ・Share the topics you like with your friends! Share interesting topics with your friends via Twitter, Facebook, or LINE. 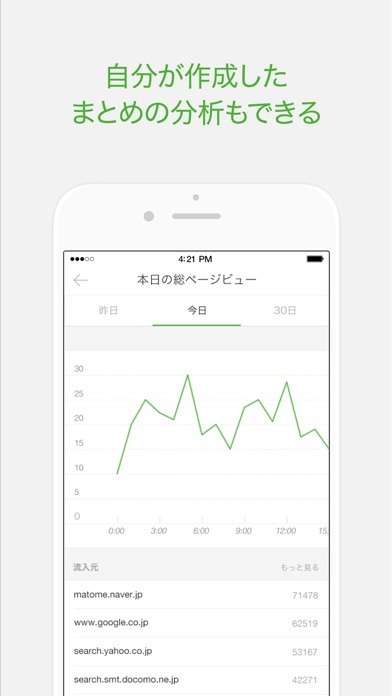 ・Analysis Functions for Matome Creators Matome creators are able to view their Matome groups' view statistics and daily incentives. ・Log in with your LINE ID Use your LINE ID on NAVER Matome. Now you can log in without having to create a new ID. Look forward to even more improvements as we approach our 3rd anniversary. Feel free to leave us a review! ------------------------------------- Please note: 1. Your Favorites list is private, and won’t be viewable by other people. 2. Some features are not supported in NAVER Matome Reader versions older than 3.0.3. Please update your app to have access to the most recent features. Thanks for reading!